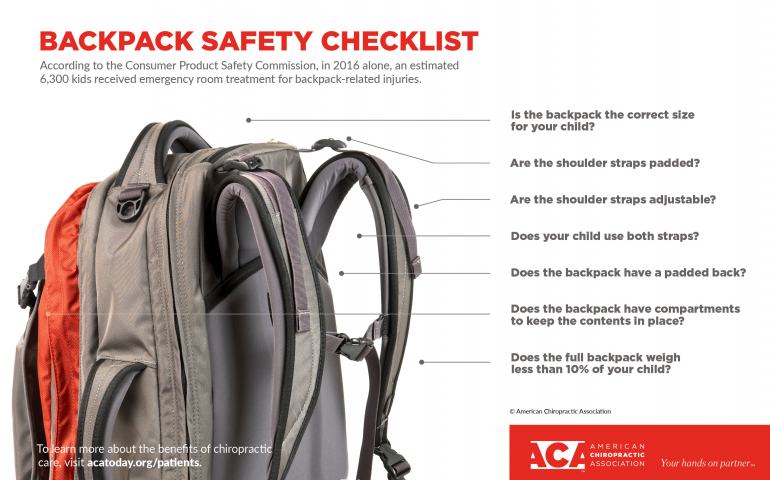 Did you know that your child's backpack should weigh no more than 10% of his/her body weight? A heavy backpack can cause shoulder and neck pain as well as low back pain. The backpack should never hang more than four inches below the waistline; doing so increases the weight on the shoulders, causing your child to lean forward when walking. Keep your kids pain free and active this year!